"You don't even know what game we're playing"
Rejoice! Arrow is good again! Seriously, I can’t stress enough how the show has really turned things around this season. “Checkmate” shows that if you bring forth a thoughtful and well presented plot, coupled with compelling and believable characters, you can easily avoid some of the biggest problems this show has faced in seasons past. This latest episode does just that, moving the overarching plot forward after the fallout of last week’s reveal, along with some strong performances and satisfying character moments. Without a doubt, the star of this episode is none other than Adrian Chase, otherwise known as Prometheus. Josh Segarra did a stellar job portraying the true nature of our good ‘ol district attorney, playing a side of the character that I never knew I wanted to see. All season we’ve been watching his friendly attitude in assisting Oliver in the mayor’s office, thinking he was secretly Vigilante by night. With his true alter ego revealed and with Oliver’s abrupt discovery of his identity, Segarra flipped the switch on the character and transformed him into a twisted and truly menacing villain. Most importantly, it’s believable. There is an edge to the way Segarra plays the character, whether it be the slightly crooked smile he gets whenever he drops truth bombs on Oliver or the tone in his voice whenever his psychotic side starts to kick in. Adrian spat out the “I’m ten steps ahead of you and you haven’t even figured out what game we’re playing yet” line pretty early on, and it was nice to see that this was actually the case as the episode went on. So many times in Arrow has a villain promised something or delivered a line that never really panned out. Throughout this episode, that very line is evident from start to finish, and it’s what helped make an authentic feeling of desperation. With it, scenes like Oliver trashing the bunker or delivering his speech to the press were validated. It doesn’t feel cheap either. Arrow has done it before, where characters will state or show that they are in a hopeless situation with no way to get out, but basic logic states otherwise. The strings that Adrian is pulling from the background actually have ramifications and the stakes don’t feel artificial. Talia is brought into the fold for the present day storyline, making a connection to the flashbacks in Russia. Too bad her appearance had nothing to do with the flashbacks for this particular episode. I get it. Arrow does at least some kind of flashback in each episode and they’ve been doing that for the past five years. That said, there isn’t much excuse for another round of uninteresting and slow-moving scenes. The fact that we started with the continuation of a gunfight from last week’s already lackluster plot didn’t help, and ending them with a forced tie-in to the theme of the current day doesn’t give me much hope for next week. In my last review I made it a point to show appreciation with Felicity’s new direction and this week the sentiment is still the same. 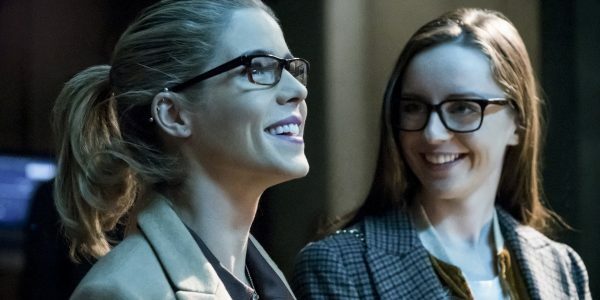 It may seem like we are starting to tread the same ground with her teammates concerned with her involvement and her own confidence in doing what she thinks is right, but at the same time it’s allowing us to see Felicity fall deeper and deeper into the organization without it appearing out of the blue later down the line. How this will tie in further with the Prometheus storyline is the more compelling aspect to look forward to. A few more random notes to mention. 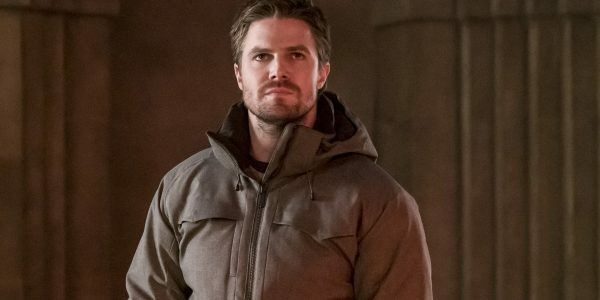 Seeing new locations like the snowy mountaintops Oliver visits to find Talia was definitely a breath of fresh air and another plus on the season as a whole. The fight choreography was another strong point this week, particularly the fight scene between Oliver and Adrian after he kills his wife. Speaking of his wife, that was a pretty predictable move, but it does give that character another degree of insanity, especially since it looked like he genuinely loved her before pulling out the knife. Also, when will the cops stop using that alley exit from the precinct? Every time they show the alley, someone gets stabbed or killed. You would think someone would have noticed by now! Overall, Arrow is in a very good place. The story is compelling, the characters are likable and their actions believable, and the villain is smart and still has a lot of mysteries surrounding him. There are seven episodes left. Let’s keep this momentum going! Josh Segarra plays an incredible side of Adrian Chase. Flashbacks are once again a snore.